One day following President Donald Trump’s inauguration, women from all over the world gathered in protest to promote equality and to protect the rights of women. The Women’s March on Washington was hosted in Washington D.C. but was joined by protesters in virtually all 50 states and in prominent cities including Miami, Pittsburgh, New York City and Chicago. Thousands of protesters across seas in Europe, Australia, New Zealand and Antarctica, also took to the streets in protest of the new administration. 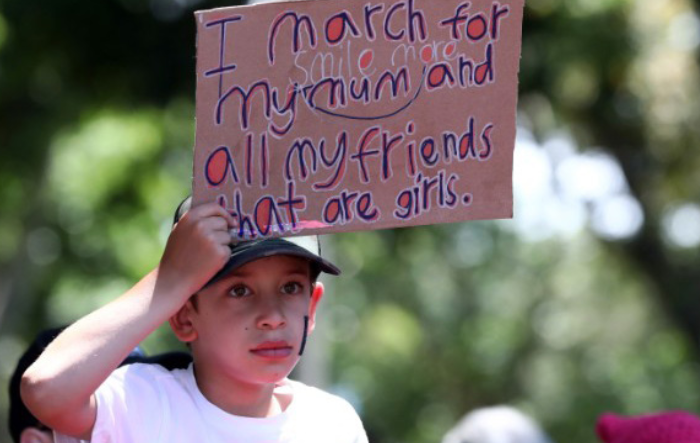 The March, which had an estimated half a million attendees, was organized to show support for causes including immigration reform, health care reform, protection of the natural environment, LGBTQ+ rights, racial justice, freedom of religion and workers’ rights. Hope Gillespie, a junior at George Washington University, was also in attendance. Gillespie had just returned from a semester abroad in Ireland and says she felt like the states “alienated” her while she was away. Across borders in Pittsburgh, participants marched through the city to the Market Square, giving locals and students the opportunity to express their concerns and feelings toward the President, who faced media scandal and public controversy surrounding what many concurred was misogynistic mistreatment of women. For many, the marches represented a way for these women to make their voices heard and to carry on the legacy set forth by the women that came before them. The marches highlight a growing tension between government officials and the general public in the months proceeding the election. According to the movement’s social lmedia pllatforms, organizers plan on releasing specific information pertaining to upcoming protests and events. To learn more about how to get involved, visit http://www.womensmarch.com.